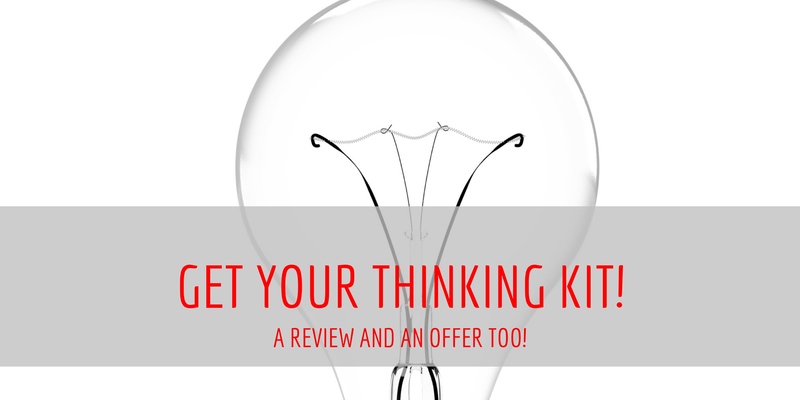 Get your ‘Thinking Kit’! Check this out. Regular readers of my blog will know I’m always keen to find new technologies that are backed with sound thinking around teaching and learning. As noted in many of my articles on my blog the best tools for learning are often ones which are really open-ended and massively applicable in terms of subjects they can be used in or ages of the children completing them. I first came across the ‘Thinking Kit’ a few years ago when working in North Tyneside. I was at a TeachMeet at Stephenson Memorial School and @Refthinking was sharing about the tool on one of the sponsor stands at the event. Given my stance on educational technology and how it should link directly to pedagogy I was immediately struck by how this app could be applied in the classroom. Essentially the tool is something which enables you to create activities based around learning for children in the classroom. You simply create the activities in a browser which makes it a really open platform for use in lots of different deployment scenarios. There is lots of online support to help get you set up and there is a free one-month trial for you to use to check it out and it’s usefulness before you decide to invest in it. The tool is based on Moseley et al.’s (2005) model around strategic and reflective thinking. The ’Thinking Kit’ provides a dedicated reflection stage, a collaborative environment and the ability to use tasks that may have no clear outcome/right answer. 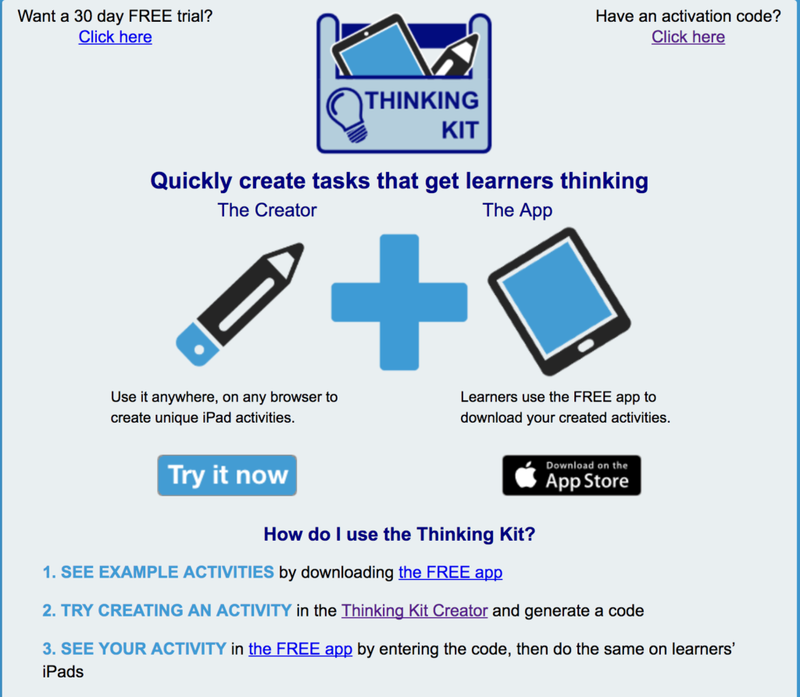 The activities in the app involve the use of what they call ‘slips’ made using the ‘Thinking Kit Creator’. These can be text, images or both. They are then manipulated by learners in the free app available from the App Store. They say that the tool is designed to work with 2-3 learners which I can see working well in many classrooms. I could also see the tool being used well by individuals however this would mean the discursive part of the learning would be missed. That said, the phase at the end of the activities you create would still facilitate the meta-cognitive elements of learning where children discuss their learning processes and the links between the different elements of the activity. Reflection; as discussion at the end of the task promotes metacognition by helping learners reflect on and discuss their thinking processes. All in all it is a really well thought-out app. The creator interface is simple to use and activities are easy to set up. The design of interface is well laid out and clear to understand. If I had one gripe it will be to say that it looks somewhat old-fashioned when compared to many other apps available for education. That doesn’t however affect its functionality, the thinking behind it and its usability in a classroom setting. To find out more information please visit the ‘Thinking Kit’ website via this link. If you are interested in investing in the app for your classroom or your school I have secured a 50% discount for anyone wishing to sign up before 28 Feb 2017. To access this discount simply enter the code ICTMark when signing up.